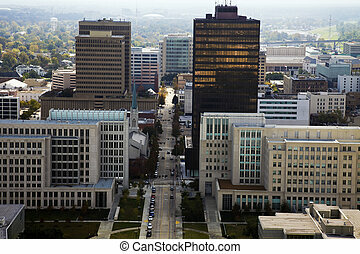 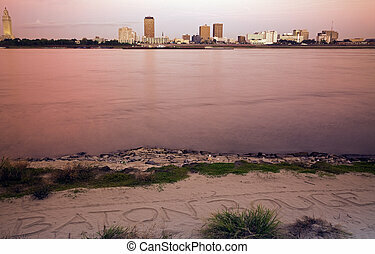 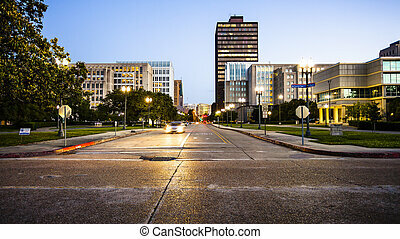 Baton rouge skyline. 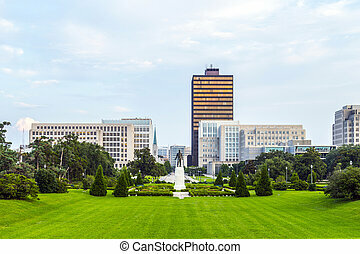 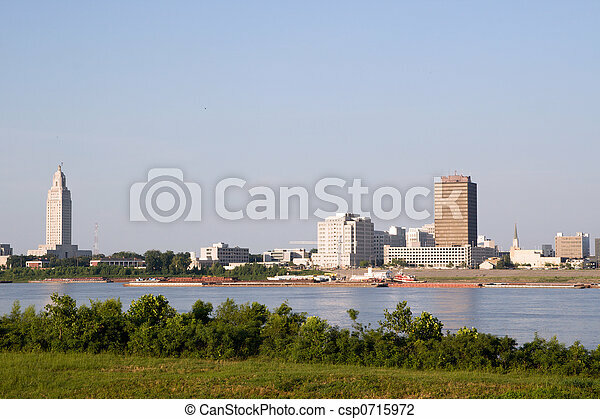 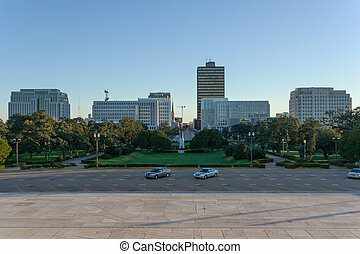 Skyline of baton rouge, louisiana, seen from across the mississippi river - state capitol building at the left. 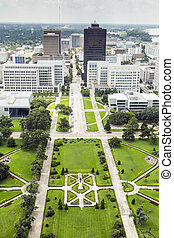 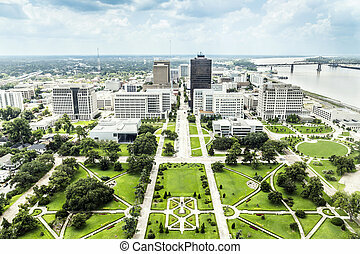 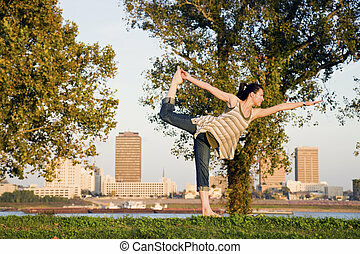 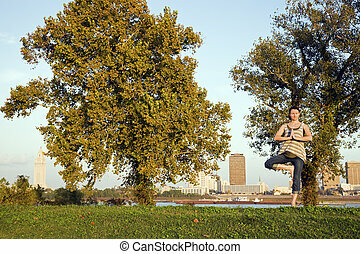 Aerial Baton Rouge, Louisiana, USA. 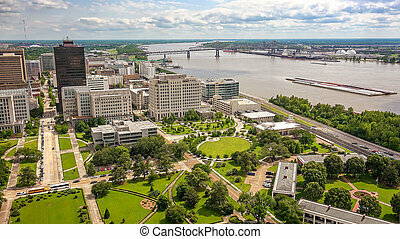 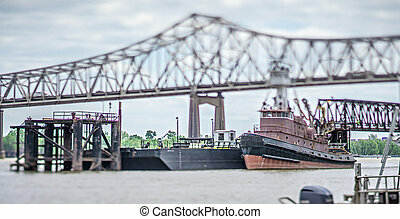 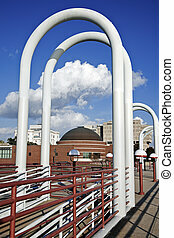 River walkway in Baton Rouge, Louisiana. 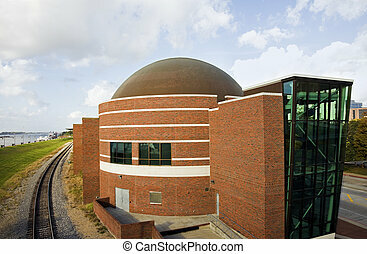 Planetarium and Old State Capitol Building in the background.